My Review: I’m still left with a lot of questions, but don’t feel frustrated that they haven’t been answered yet. I appreciated the different culture point of view and the light touches of fantasy throughout, almost like fantasy lite. I wasn’t immediately absorbed, but I always felt the need to come back. I think it would be great for someone who is a fan of literary fiction, but doesn’t mind some fantasy sprinkled in. I’m onto the second book in the series and looking forward to more. GoodReads Summary: A magical debut novel for readers of Naomi Novik's Uprooted, Erin Morgenstern's The Night Circus, and Neil Gaiman's myth-rich fantasies, The Bear and the Nightingale spins an irresistible spell as it announces the arrival of a singular talent with a gorgeous voice. After Vasilisa's mother dies, her father goes to Moscow and brings home a new wife. Fiercely devout, city-bred, Vasilisa's new stepmother forbids her family from honoring the household spirits. The family acquiesces, but Vasilisa is frightened, sensing that more hinges upon their rituals than anyone knows. And indeed, crops begin to fail, evil creatures of the forest creep nearer, and misfortune stalks the village. All the while, Vasilisa's stepmother grows ever harsher in her determination to groom her rebellious stepdaughter for either marriage or confinement in a convent. As danger circles, Vasilisa must defy even the people she loves and call on dangerous gifts she has long concealed--this, in order to protect her family from a threat that seems to have stepped from her nurse's most frightening tales. My Review: I had a bit of a rocky start keeping track of the first person narrators and who all the characters were, but once I got past that I very much enjoyed this book. At several points I needed to do some historical and scientific digging to understand the story better, but probably not necessary for most. I don’t always enjoy sci-fi, but I love a book that keeps me interested, provides a different perspective, and gets me thinking. I can see why this was a Obama favorite. GoodReads Summary: The Three-Body Problem is the first chance for English-speaking readers to experience this multiple award winning phenomenon from China's most beloved science fiction author, Liu Cixin. My Review: I was looking forward to reading this since I really enjoyed Atlas Shrugged, but I unfortunately couldn't get to the same level. I loved all the references to and descriptions of architecture, and I could feel the beauty and importance of the structures being built. It certainly made me question why I didn’t study architecture myself! However, I feel like the campaign for the creator/individual could have been summed up in much fewer pages with the same impact. Overall I’m really glad I read it, but won’t race back to read it again. Goodreads Summary: When The Fountainhead was first published, Ayn Rand''s daringly original literary vision and her groundbreaking philosophy, Objectivism, won immediate worldwide interest and acclaim. This instant classic is the story of an intransigent young architect, his violent battle against conventional standards, and his explosive love affair with a beautiful woman who struggles to defeat him. 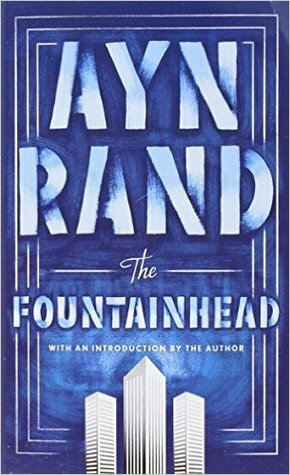 This edition contains a special afterword by Rand's literary executor, Leonard Peikoff, which includes excerpts from Ayn Rand's own notes on the making of The Fountainhead. As fresh today as it was then, here is a novel about a hero-and about those who try to destroy him. My Review: I enjoyed the trip, but not necessarily the destination. Take that for what it's worth and what type of book you tend to enjoy. Mystery, intrigue, with a dash of suspense. This book would make a great beach read insomuch as it reads quickly, isn't hefty, and doesn't require focused concentration. I was hoping for a bit more complexity, but it was an enjoyable journey. GoodReads Summary: One is playing a long game. But which one? They meet at a local tavern in the small town of Belleville, Delaware. Polly is set on heading west. Adam says he’s also passing through. Yet she stays and he stays—drawn to this mysterious redhead whose quiet stillness both unnerves and excites him. 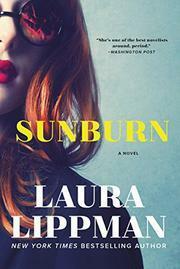 Over the course of a punishing summer, Polly and Adam abandon themselves to a steamy, inexorable affair. Still, each holds something back from the other—dangerous, even lethal, secrets that begin to accumulate as autumn approaches, feeding the growing doubts they conceal. Something—or someone—has to give. Which one will it be? My Review: I really wanted to like this book. From the summary I knew there would be a quirkiness to it that I would appreciate. However, I couldn’t quite get excited. I would have preferred reading less about the characters' childhood, and more about their development into adults and feelings for each other. GoodReads Summary: Childhood friends Patricia Delfine and Laurence Armstead didn't expect to see each other again, after parting ways under mysterious circumstances during high school. After all, the development of magical powers and the invention of a two-second time machine could hardly fail to alarm one's peers and families. But now they're both adults, living in the hipster mecca of San Francisco, and the planet is falling apart around them. Laurence is an engineering genius who's working with a group that aims to avert catastrophic breakdown through technological intervention into the changing global climate. Patricia is a graduate of Eltisley Maze, the hidden academy for the world's magically gifted, and works with a small band of other magicians to secretly repair the world's ever-growing ailments. Little do they realize that something bigger than either of them, something begun years ago in their youth, is determined to bring them together--to either save the world, or plunge it into a new dark ages. A deeply magical, darkly funny examination of life, love, and the apocalypse. My Review: I enjoyed the read, but never felt excited. The time and place were well described and I loved reading from Anna’s point of view as a woman pushing the boundaries in her time. The ending felt somewhat satisfying, but several story lines along the way fell a bit flat for me. GoodReads Summary: The long-awaited novel from the Pulitzer Prize-winning author of A Visit from the Goon Squad, Manhattan Beach opens in Brooklyn during the Great Depression. Anna Kerrigan, nearly twelve years old, accompanies her father to the house of a man who, she gleans, is crucial to the survival of her father and her family. Anna observes the uniformed servants, the lavishing of toys on the children, and some secret pact between her father and Dexter Styles. My Review: This was my first Agatha Christie book, so I wasn’t entirely sure what to expect, especially with her being one of the best selling authors of all time only after the Bible and Shakespeare.... I loved it! It was a quick read, seemly simple, but with a subtle complexity that I didn’t pick up on until the end. I read it with the mindset that it would be predictable like most mysteries, but I can honestly say it wasn’t the ending I thought it would be. Worth the read. GoodReads Summary: What more can a mystery addict desire than a much-loathed murder victim found aboard the luxurious Orient Express with multiple stab wounds, thirteen likely suspects, an incomparably brilliant detective in Hercule Poirot, and the most ingenious crime ever conceived? My Review: Simple, not overly complicated, and a quick enjoyable read in the fantasy genre. If you liked the Darker Shade of Magic series and The Magicians, you will definitely enjoy this one. GoodReads Summary: There is a dark secret that is hiding at the heart of New York City and diminishing the city’s magicians’ power in this fantasy thriller by acclaimed author Kat Howard. In New York City, magic controls everything. But the power of magic is fading. No one knows what is happening, except for Sydney—a new, rare magician with incredible power that has been unmatched in decades, and she may be the only person who is able to stop the darkness that is weakening the magic. But Sydney doesn’t want to help the system, she wants to destroy it. Sydney comes from the House of Shadows, which controls the magic with the help of sacrifices from magicians. My Review: I really loved this book for reasons not necessarily relevant to most. Like Elsa, my grandmother was also my best friend when I was young and passed away from cancer. She understood me when others didn’t and was always my biggest advocate. It was hard to read through Elsa’s struggle of dealing with death as it drudged up many emotions of my own, but it was so beautifully written the occasional ugly cry was well worth it. I thought the dialogue was witty and I liked the premise of the story - - Specifically, how the letters Elsa was assigned to distribute wove the story that taught her more about her Grandmother and helped her to heal. GoodReads Summary: Elsa is seven years old and different. Her grandmother is seventy-seven years old and crazy, standing-on-the-balcony-firing-paintball-guns-at-men-who-want-to-talk-about-Jesus-crazy. She is also Elsa's best, and only, friend. At night Elsa takes refuge in her grandmother's stories, in the Land of Almost-Awake and the Kingdom of Miamas where everybody is different and nobody needs to be normal.